Draft: 2007, Atlanta Braves, 1st rd. Jason is in his fourth season with the Cubs after signing an eight-year major league contract with Chicago in December of 2015 ... has qualified for the postseason in seven of his nine major league campaigns with the Braves (2010-14), Cardinals (2015) and Cubs (2016-18) ... Has won five Rawlings Gold Glove Awards including four-straight from 2014-17 ... Owns a .263 career batting average (1,157-for-4,407) with 223 doubles, 30 triples, 123 home runs, 517 RBI and 102 stolen bases in 1,230 major league games ... Has played 1,164 games in right field, recording a .988 fielding percentage (27 E/2,318 TC) and 56 assists ... has played 94 games in center field, handling 169 total chances with just one error ... Finished second in N.L. Rookie of the Year voting to San Francisco's Buster Posey (catcher) in 2010 ... collected 107 total votes, including nine first-place votes, compared to Posey's 129 (20) ... Named Baseball America's 2010 Rookie of the Year in the N.L., and was voted by the players as the 2010 Sporting News N.L. Rookie of the Year ... Voted by fans to the 2010 N.L. All-Star team, but did not play due to a thumb injury ... Hit a three-run homer in his first major league plate appearance, April 5 vs. the Cubs (Carlos Zambrano), becoming the sixth player in Atlanta history to homer in his first plate appearance (Bob Horner in 1978, Jermaine Dye in 1996, Marty Malloy in 1998, Jeff Francoeur in 2005 and Jordan Schafer in 2009) and the 11th player in franchise history to hit a homer in his major league debut ... Selected by Atlanta in the first round (14th overall) in the 2007 draft ... Graduated from Henry County (McDonough, Ga.) High School ... squared off against Buster Posey's Lee County High School during his sophomore year ... His father, Eugene, played basketball at Dartmouth College ... Wears uniform number 22 to honor his high school teammate, Andrew Wilmot, from the 2005 Georgia State championship team who was tragically killed in an auto accident. Jason had his best offensive season since joining the Cubs, batting .270 (119-for-440) with 23 doubles, four triples, eight homers and 57 RBI in 127 games ... Struck out just 60 times in 489 plate appearances ... walked 42 times, contributing to a .335 on-base percentage, his highest since 2015 ... In 28 games from May 29-June 30, hit .359 (42-for-117) with 11 doubles, three homers, 18 RBI and 20 runs scored ... his 42 hits were the most of any player in the majors during that span ... Led the team with four four-hit games, his most-ever in a single season ... Batted .290 (27-for-93) against lefties and hit .265 (92-for-347) against righties ... Led the Cubs with a .342 average (69-for-202) and a .940 OPS with runners on base ... his average ranked sixth in the majors and fourth in the N.L ... Ranked fourth in the N.L. and seventh in the majors with a .329 average (49-for-149) with two outs ... Led all qualified right fielders with an average of 2.22 putouts per nine innings ... Suffered a concussion while attempting to make a catch at the right field wall, May 6 in St. Louis ... landed on the D.L. and was activated, May 18 ... Was batting .227 with a .315 on-base percentage at the time of his D.L. stint ... batted .283 with a .341 OBP after being activated ... Belted a walk-off grand slam, June 6 vs. Philadelphia's Adam Morgan to give Chicago a 7-5 victory ... became the first Cub in nearly 50 years to hit a walk-off grand slam with the team trailing since the legendary Ron Santo did so, Sept. 25, 1968 vs. the Dodgers ... Besides Ron Santo, the only other prior Cub to hit a walk-off grand slam to overcome a deficit at Wrigley Field was Ellis Burton, who did so August 31, 1963 vs. Houston ... David Bote joined this group August 12 vs. Washington ... The previous Cub to hit a walk-off grand slam was Alfonso Soriano, whose blast broke a 1-1 tie in the 13th inning, July 27, 2009, vs. Houston ... Recorded an extra-base hit in five-straight games, June 6-11, his longest streak since June 18-24, 2015 (six games) ... June 11 in Milwaukee, delivered a game-tying RBI single in the eighth inning off southpaw Josh Hader ... Led the team with 34 hits (tied for third-most in the N.L.) and 10 doubles in the month of June ... his most hits in a month since August, 2014 (35) ... Recorded his 500th career RBI with a two-out, two-run single in the second inning, July 15 in San Diego ... Went 4-for-4 with a triple, three runs scored and two RBI, August 26 vs. the Reds ... Was on the disabled list, August 31-September 16, with right hamstring tightness. Jason had a bounceback season, posting a .259/.326/.389 slash line after a .230/.306/.325 slashline in 2016 ... reached 10 homers for the seventh time in eight major league seasons and earned his fifth N.L. Rawlings Gold Glove award... Appeared in 120 games in right field and 13 games in center field ... his five double plays turned led all N.L. outfielders and all major league right fielders ... his .991 fielding percentage as a right fielder was the fifth-best in the majors ... did not commit an error in 13 appearances as a center fielder... Missed time with two disabled list stints ... was on the disabled list May 6-20 with a sprained finger on his right hand and from June 19-July 4 with a left hand abrasion ... appeared in three rehab games with South Bend across the two stints on the disabled list... Hit .275 (58-for-211) vs. N.L. Central opponents, including a .317 (13-for-41) mark with two homers and 11 RBI in 11 games vs. the Reds and a .302 average (16-for-53) with five doubles, a triple, a homer and 10 RBI in 15 games vs. the Cardinals... Batted .328 (20-for-61) with runners in scoring position and two outs, the third-best mark on the Cubs... Went 5-for-12 (.417) with a triple and nine RBI in bases-loaded situations... Hit a game-winning homer in the 11th inning, July 29 at Milwaukee ... was his fourth-career go-ahead homer in extra innings, and his first since September 15, 2015 at Milwaukee with St. Louis... Notched a season-high four RBI three times, two of which came in a three-game span ... went 2-for-4 with a homer, two runs and four RBI, April 22 at Cincinnati ... then went 1-for-4 with a homer and four RBI, April 24 at Pittsburgh ... overall, he had 11 RBI in a four-game span, April 21-24, driving in at least one run in each game ... also drove in four runs vs. the Mets on September 14... Scored a season-high three runs, August 14 vs. Cincinnati... Went 2-for-17 with a run scored, hit-by-pitch and three walks in eight postseason games. In his first season with the Cubs, Jason won his fourth Gold Glove, leading all N.L. outfielders with 18 defensive runs saved according to Fangraphs ... after a slow start offensively he closed the season strong, batting .304 (14-for-46) with five doubles and a homer in his final 14 games beginning September 14 ... Overall he batted .230 (122-for-530) with 27 doubles, seven homers and 49 RBI in 142 games ... Ranked third on the team with 11 stolen bases, his fifth season with at least 10 steals ... Played 131 games (112 starts) in right field and 24 games (21 starts) in center field, posting a combined .993 fielding percentage (2 ER/276 TC) ... ranked second on the team with five outfield assists (Fowler, six) ... Batted .283 (47-for-166) in the seventh inning and later compared to .206 (75-for-364) in innings one to six ... Went 3-for-6 with three RBI, September 4 vs. San Francisco, including a game-tying RBI single in the ninth inning before a game-winning RBI single in the 13th inning ... according to Elias, he became the first Cub to tie a game in the ninth and collect the walk-off RBI in extras since Andre Dawson in 1990 vs. Atlanta ... Excelled against the Reds, batting .319 (22-for-69) with a .434 OBP ... his 16 RBI were 12 more than he had against any other club ... had a season-high four hits, April 24 at Great American Ball Park ... Scored the game-winning run in the 12th inning, July 31 vs. Seattle, after doubling to lead off the frame ... Recorded back-to-back three-hit games, June 11-12 at Atlanta ... Hit safely in a season-high nine-straight games (.316/12-for-38), May 8-18, including his first homer with the Cubs, May 17 at Milwaukee ... Appeared in 16 post-season games, going 5-for-48 (.104) with a double, triple and four runs scored ... played in six of seven World Series games. Jason Heyward set career highs in several offensive categories in his lone season with the Cardinals, including a .293 batting average, 33 doubles, 160 hits and 23 stolen bases in 154 games, his most since playing in a career-best 158 games in 2012 ... earned his third Gold Glove in four years, recording a 6.5 WAR which ranked fifth among all N.L. position players. Posted a .359 on-base percentage, his best mark since his career-best .393 mark in his rookie season, while his .797 OPS was his best since 2012. Played 144 games in right field, recording a .990 fielding percentage (3 E/290 TC) with nine assists ... played 10 games in center field, handling 13 chances without an error. Batted .301 (116-for-385) with 11 homers against right-handed pitching ... hit .272 (44-for-162) with two homers against lefties. Hit .318 (76-for-239) with a .397 on-base percentage and an .866 OPS in the season's second half. After hitting .217 (18-for-83) in April, batted .284 or better in each of the season's final five months ... hit .326 (29-for-89) with an .881 OPS in June. Tied his career mark with five hits, July 18 vs. the Mets ... previously turned the trick, September 26, 2013 vs. the Phillies. Recorded his sixth career multi-homer effort, August 16 vs. the Marlins. Drove in four runs to tie his career mark, September 30 at Pittsburgh (gm. 2). Reached base safely in his final 24 regular season games, August 25-September 22 ... is three games shy of his career-best 27-straight games reaching safely, done in 2010. Hit .357 (5-for-14) with a home run, two RBIs, a .438 on-base percentage, a .643 slugging mark and a 1.081 OPS in the four-game National League Division Series against the Cubs. Spent a fifth season playing rightfield for Atlanta; his 149 games played were his 2nd highest total behind 158 in 2012...Earned his second career Rawlings Gold Glove as a rightfielder and was a Platinum Glove finalist in the N.L. Was also named Wilson MLB Defensive Player of the Year...Had the highest number of total chances (375) and putouts (365) among rightfielders in the National League, with just one error - tied for the fewest in the N.L. (100 or more games played)...His nine outfield assists tied for the most in the N.L. among RF players (100+ games). Has 23 OF assists between 2012-2014, 3rd most in the N.L. during that time span...Primarily served as the leadoff hitter for the Braves, appearing 94 times in the top spot in the lineup (.270, 103-382). Batted out of the no. 5 spot in the order in 54 games (.274, 52-190)...His 155 hits and .271 batting average were 2nd on the Braves behind Freddie Freeman (175 H, .288). Walked 67 times, 2nd for ATL and T13th in the League...Had two 11-game hit streaks: 5/11-23 (.381, 16-42) and 5/26-6/7 (.354, 17-48), one short of his career high 12 in 2012. During that span (5/11-6/7) had hits in 22 of 24 games, batting .340 (33-97) with five of his 11 homers coming during that time...Tied for the Atlanta team lead with 20 steals, one shy of his career high of 21 in 2012. Ran out 19 infield hits, 2nd for the Braves (Simmons, 20)...His 44 multi-hit games were T19th in the N.L. and he produced 23 multi-hit games in 62 contests from 7/8 to end of season, batting .313 (73-for-233) during that span...After slow start, posted a .286 average over his final 134 games (since 4/19), lifting his season batting average from .136 to .271...Reached base safely in 100 of 117 games with an AB (.288) from 5/9 to end of season...After a .309 July (25-81), his best month came in August when he hit .330 (35-106)...Missed four games 9/19-22 after being HBP on his left thumb 9/17 vs. WSH. In his seventh professional campaign, batted .254 (97-for-382) with 14 home runs and 38 RBI in 104 games. Defensively, appeared in 86 games in right field, including 76 starts, and 20 games in centerfield, all starts. In 37 games in the "second half," posted a .305 batting average (40-for-131) with nine doubles, seven home runs and 17 RBI. His on-base percentage was .397 with a .932 OPS. Hit . 322 (38-for-118) and had an on-base percentage of .403 in 30 games batting in the leadoff position in the lineup. During a 19-game span, from 7/28-8/17, owned a .400 (30-for-75) average with six doubles, five homers - including four from the leadoff spot - 15 RBI, eight walks and 23 runs scored to go with a .457 on base percentage from the No. 1 spot in the lineup. The Braves went 71-33 in the 104 games Heyward appeared in. Made his third career appearance on a postseason roster. Started all four games of the Division Series vs. LAD and went 3-for-18 (.167) with one home run, four RBI and one run scored from the leadoff position. Poked his first career postseason home run with a two-run shot in Game 3 of the NLDS. His two-out, two-RBI double in Game 2's seventh inning proved significant in the Braves 4-3 win. Ranked 10th in the Majors with a .348 (23-for-66) batting average in the month of August. Over 73 games, from 6/3 through the remainder of the season, batted .297 (82-for-276) with 12 home runs, 30 RBI, 15 runs scored with 28 multi-hit efforts. In his first 31 contests to open the season, hit .142 (15-for-106) with two home runs and eight RBI. From 7/1 through the end of the year, he reached base safely via hit, walk or hit-by-pitch in 40 of 47 games. Suffered a fractured jaw on 8/21 at NYM after being hit by a pitch. Underwent surgery in Atlanta on 8/22 and was activated off the disabled list on 9/20. The Braves went 13-13 in his absence. Hit at a .333 (38-for-114) clip over his last 31 games of the season (from 7/28 on). Set career highs in hits (five) and extra-base hits (four) and matched his career high with three doubles in 9/26's game vs. PHI. Also on 9/26, drilled his third career - and third of the season - leadoff homer. Blasted a pair of two-homer games on the season, including a game-tying two-out, two-run shot in the ninth inning on 8/17 vs. WSH. His first multi-homer game came 6/10 at SD. Placed on the disabled list on 4/23 after undergoing appendectomy surgery on 4/22 in Denver, CO. Played in five rehabilitation games with Gwinnett (AAA) and was activated off the disabled list on 5/17. Won his first career NL Gold Glove Award after recording 11 outfield assists, tied for third-best in the NL. Became the first Brave to win the award since 2007 (Andruw Jones and Jeff Francoeur)...Bounced back from an injury-plagued 2011 by setting career highs in games (158), at bats (587), runs (93), hits (158), doubles (30), triples (six), home runs (27), RBI (82) and stolen bases (21)...Became the first Brave to record at least 20 home runs and 20 stolen bases in the same season since Andruw Jones clubbed 36 home runs while swiping 21 bags in 2000...Recorded 18 game-winning RBI, tied for fifth-most in the Majors...Batted .300 (105-for-350) with 20 home runs vs. right-handed pitchers, compared to .224 (53-for-237) with seven home runs against lefties...Named NL Player of the Week for June 18-24, after batting an NL-best .522 (12-for-23, three HR) during the span...Collected his second and third career multi-homer games in a two-week span. After hitting a pair of solo home runs on June 7 at MIA, Heyward followed with two home runs at NYY on June 20...Tied a career high with four RBI on Sept. 22 at PHI, going 2-for-4 with a double and a walk in an 8-2 win...Hit .455 (20-for-44) with four home runs during a career-best 12-game hitting streak from June 13-27. In his sophomore season, battled through injuries, batting .227 (90-for-396) with 18 doubles, 14 home runsand 42 RBI in 128 games...Had one stint on the disabled list. Was placed on the DL on 5/24 (retroactive 5/22) and missed 18 gameswith right shoulder soreness. Left 5/10's game in the eighth inning with a sore right shoulder. An MRI on5/12 revealed no structural damage, however it did show an inflamed rotator cuff in his right shoulder. Alsomissed two games in mid-July with a left foot contusion...Clubbed a solo home run in his first at-bat on 3/31 at WSH for his second home run in as many openingdays. He also drilled a home run in his first career at-bat on opening day last season to become just thesecond player in Major League history to hit a home run in his first at-bat in each of his first two seasons...Hit safely in six of his last eight games he has started to end the season (9-for-25, .360)...Drilled his first career grand slam and tied his career RBI high (four, four times).on 8/23 at CHI...His sixth-inning home run on 7/1 vs. BAL was his first since 4/29 vs. STL, a span of 104 at-bats...Over an eight-game span, from 4/22-30, went 14-for-35 (.400) with three homers, seven RBI, a .447 onbasepercentage and a .714 slugging percentage...In 292 at-bats vs. right-handed pitchers batted .240, compared to .192 (20-for-104) vs. left-handed pitchers. Completed an impressive rookie campaign batting .277 with 18 home runs and 72 RBI in 142 games...Finished second in National League Rookie of the Year voting to SF's Buster Posey (Catcher). Heyward collected107 total votes, including nine first-place votes, compared to Posey's 129 (20)...Was named Baseball America's Rookie of the Year in the National League...Voted by the players as the Sporting News National League Rookie of the Year...Ranked first among Major League rookies in on-base percentage (.393), slugging percentage (.456) andwalks (91).Was second in RBI (72), third in average (.277), hits (144) and extra-basehits (52) and tied forfifth in home runs (18)...His 91 walks tied for fourth in the NL and were tied for eighth in the majors...Played in four Division Series games vs. SF, going 2-for-16 (.125) witheight strikeouts. His two hits, both singles, came in Game 4 offMadison Bumgarner...In his first season in the majors was selected to the NL All-Star teamas a starter, but a left thumb injury kept him out of the game...Hit a three-run home run his first major league plate appearance,becoming the sixth player in Atlanta history and the 11th player infranchise history to hit a home run in his ML debut. He is just the sixthplayer in franchise history to homer in his first career plate appearancejoining Bob Horner (1978), Jermaine Dye (1996), Marty Malloy(1998), Jeff Francoeur (2005) and Jordan Schafer (2009)...At the young age of 20, Heyward became the youngest player to hit ahome run in his first major league at-bat since 1950, when CIN's TedTappe, then 19, belted a pinch-hit home run at Ebbets Field. Theyoungest player to ever accomplish the feat was Whitey Lockman ofthe New York Giants, whose first at-bat home run came 20 daysbefore his 19th birthday in 1945...Became just the second Braves rookie to make his MLB debut in the opening day starting lineup since 1981(OF Jordan Schafer in 2009)...Placed on the 15-day disabled list on 6/27 with a deep bone bruise in his left thumb; activated off the DL on 7/15...Suffered a left thumb injury in mid-May that eventually landed on the DL in late June. Excluding the six weeksfrom 5/14-7/15 in which Heyward played through the injury, he hit .301 (109-for-362) in 102 games with 22doubles, two triples, 15 home runs and 55 RBI while posting a .420 on-base percentage for the season...Batted .302 (80-for-265) from 7/15 (activated off DL) through the end of the season. Also, reached base safely in37 of the final 40 contests of the year...Drilled a solo home run on 8/9 vs. HOU, his 21st birthday, to become just the sixth player since 1900 havehit a home run on their birthday at age 21 or younger joining Buddy Lewis (1936), Aramis Ramirez (1998),Frank Robinson (1956) and Alex Rodriguez (1996) and Ted Williams (1939)...Had back-to-back-to-back homer games, 4/29-5/1...Garnered NL Rookie of the Month honors for May after leading all rookies with six HRs and 19 RBI, and finishingtied for ninth in the majors in RBI. He also posted a .520 slugging percentage and a .360 on-base percentage...Was also named NL Rookie of the Month for April to become the first rookie since CHI's Geovany Soto in2008 (April/August) to win the award twice in a season, and the first since MIL's Ryan Braun in 2007(June/July) to win the award in consecutive months. Heyward led all rookies with three 3B, 19 RBI, 19 R andthree SB.He also tied for first with four HR and 16 BB while pacing NL rookies with a .337 batting average. Enters 2010 ranked as the #1 overall prospect by Baseball America, MLB.com and ESPN.com...Following a remarkable season in which he hit .323/17/63 at three minor league stops, earned BaseballAmerica's Minor League Player of the Year award...Baseball America also tabbed him as the #1 Braves prospect, the #1 prospect in the Southern League andCarolina League, as well as the Double-A "Best Batting Prospect" and the Class A "Most Exciting Player. "...Recipient of the Hank Aaron Award, given annually to the top offensive player in the Braves organization...Ranked in the top 10 in the organization in many offensive categories including second in runs (69), thirdin average (.323), home runs (17) and OPS (.966), sixth in hits (117) and RBI (63) and tied for seventh indoubles (25)...Participated in the 2009 Futures Game in St. Louis and went 1-for-2...Played in 99 games due to a nagging oblique injury suffered in late May...Was selected to the Carolina League All-Star team. Did not participate in the game due to oblique injury...Collected 34 hits, including 11 doubles, three home runs, 19 RBI, 14 walks and posted a 1.230 OPS in 22July contests en route to being named the Braves organization Mississippi Player of the Month...Earned Carolina League Player of the Week honors for the week ending 5/18: 6-for-23 (.261), 3 HR, 5 RBI...Began the season at Myrtle Beach (A) and reached base in 42-of-49 contests, including 16 multi-hit games...Received promotion to Mississippi (AA) on 7/4 and at the time of his promotion carried a nine-game hittingstreak to MS where he would extend it to 13 games (.365, 19-for-52 with four doubles and 14 RBI)...Continued his trend of reaching base safely at MS, where he logged a .446 OBP and a 1.057 OPS...Made a late-season appearance on the Triple-A Gwinnett roster, 9/5-7...Matched his career high with four-hit performance, 7/16 vs. HVL...Was limited to four games (.286, 4-for-14, 3 2B, 1 RBI) with the Peoria Saguaros of the Arizona Fall Leaguedue to a hamstring gluteal strain. Entered the 2009 as the fifth-best prospect in all of baseball, according to Baseball America...In justhis second professional season, Heyward proved to be a standout by being named the Rome Braves (A)Player of the Year by the organization...Named by Baseball America to numerous accolades: South AtlanticLeague's Most Outstanding Prospect, Minor League All-Star, Mid- and Post-Season All-Star, Low-Class A All-Star, SAL's Top Batting Prospect and Most Exciting Player...Ranked by Baseball America as the Braves' second-best prospect...Named MLB.com's third-best overall prospect...ESPN.com named him the best corneroutfield prospect in all of the minor leagues and also named him the top Atlanta prospect and third-overallminor-league prospect...Ranked third in the SAL with a .323 batting average, ranked fourth with a .388 onbasepct., ranked fifth in runs scored (88) and sixth in OPS (.874)...Tied for tops in the Braves minor-leaguesystem with a .316 batting average, tied for second with 91 runs, tied for fifth with 29 doubles, ranked fifth with149 hits, ranked sixth with an .854 OPS and tied for sixth with six triples...Promoted to Myrtle Beach (A) on8/25 where he hit .182 (4-for-22) with 4 RBI in seven games...Finished in the top three on the R-Braves innine major offensive categories...Named Rome's April Player of the Month, hitting .330 (33-for-100) with 3 HR,16 RBI and 7 SB in 26 games...Hit over .300 in every month except for July at Rome: April (.330), May (.345),June (.315), July (.250), August (.386)...Had a season-high 11 game hitting streak from 5/7-19 (.386 with 52B and 2 HR)...Had 42 multi-hit games with Rome, including two four-hit games (4/20 vs. SAV and 5/27 atHIC)...While with Rome he hit .351 (33-for-94) off LHP with 4 HR and .315 (112-for-355) with 7 HR vs.RHP...Had a season-high 5 RBI to go with three hits and a home run on 6/30 vs. Columbus. Baseball America listed him as the second-best prospect in the Braves organization...Hit a combined.302 with one home run and six RBI in 12 games between GCL Braves and Danville (R)...Hit a solo home runin first professional game. September 16, 2018 Chicago Cubs activated RF Jason Heyward from the 10-day injured list. August 31, 2018 Chicago Cubs placed RF Jason Heyward on the 10-day disabled list. Right hamstring tightness. May 18, 2018 Chicago Cubs activated RF Jason Heyward from the 10-day disabled list. May 16, 2018 Chicago Cubs placed RF Jason Heyward on the 10-day disabled list. Concussion. July 4, 2017 Chicago Cubs activated RF Jason Heyward from the 10-day disabled list. July 2, 2017 Chicago Cubs sent OF Jason Heyward on a rehab assignment to South Bend Cubs. June 22, 2017 Chicago Cubs placed RF Jason Heyward on the 10-day disabled list retroactive to June 19, 2017. Left hand abrasion. May 20, 2017 Chicago Cubs activated RF Jason Heyward from the 10-day disabled list. May 18, 2017 Chicago Cubs sent RF Jason Heyward on a rehab assignment to South Bend Cubs. May 8, 2017 Chicago Cubs placed RF Jason Heyward on the 10-day disabled list retroactive to May 6, 2017. Sprained finger (Right hand)). 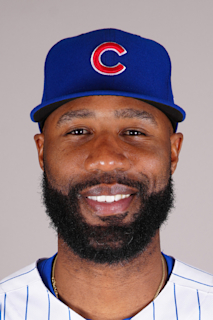 December 15, 2015 Chicago Cubs signed free agent RF Jason Heyward. November 2, 2015 RF Jason Heyward elected free agency. September 20, 2013 Atlanta Braves activated RF Jason Heyward from the 15-day disabled list. August 22, 2013 Atlanta Braves placed RF Jason Heyward on the 15-day disabled list. Fractured right jaw. May 17, 2013 Atlanta Braves activated RF Jason Heyward from the 15-day disabled list. May 9, 2013 Atlanta Braves sent RF Jason Heyward on a rehab assignment to Gwinnett Braves. April 23, 2013 Atlanta Braves placed RF Jason Heyward on the 15-day disabled list retroactive to April 21, 2013. Appendectomy. June 15, 2011 Atlanta Braves activated RF Jason Heyward from the 15-day disabled list. June 13, 2011 sent RF Jason Heyward on a rehab assignment to Gwinnett Braves. May 23, 2011 Atlanta Braves placed RF Jason Heyward on the 15-day disabled list retroactive to May 22, 2011. Sore right shoulder. July 15, 2010 Atlanta Braves activated RF Jason Heyward from the 15-day disabled list. June 29, 2010 Atlanta Braves placed RF Jason Heyward on the 15-day disabled list retroactive to June 27, 2010. Bone bruise in left thumb. April 3, 2010 Atlanta Braves selected the contract of RF Jason Heyward from Gwinnett Braves. February 17, 2010 Atlanta Braves invited non-roster RF Jason Heyward to spring training. October 29, 2009 Peoria Saguaros reassigned RF Jason Heyward to the minor leagues. September 5, 2009 Jason Heyward assigned to Gwinnett Braves from Mississippi Braves. July 3, 2009 Jason Heyward assigned to Mississippi Braves from Myrtle Beach Pelicans. June 17, 2009 Jason Heyward assigned to Myrtle Beach Pelicans from Danville Braves. June 1, 2009 Jason Heyward assigned to Danville Braves from Myrtle Beach Pelicans.